Samsung, as expected , boasted at the SDC 2018 conference with new solutions yesterday. Both in the field of hardware and software. Finally, we saw a foldable Infinity Flex screen. There was also One UI overlay. Unfortunately, we did not see the Galaxy F, which is a generic smartphone that has been created for several years. 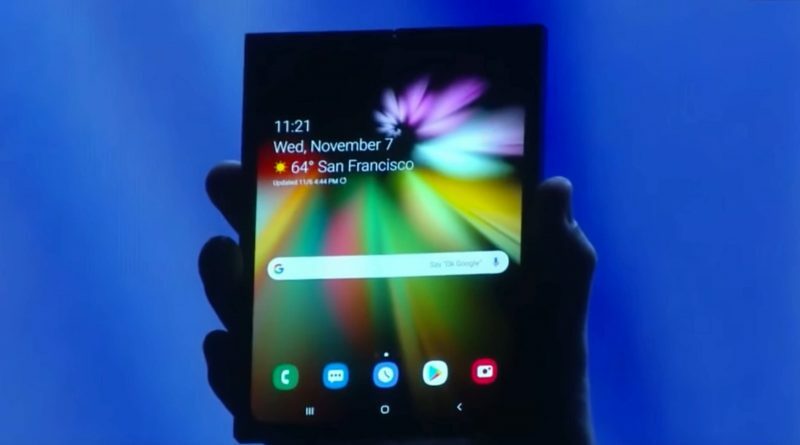 What Samsung showed yesterday at SDC 2018, it was not a folded Galaxy F smartphone, although some people took it that way. There were voices in the network that it was ugly, angular and thick. That was supposed to be, because in reality we saw only the Infinity Flex screen in a special housing, which was designed in a different way. Remember that Samsung has focused on the presentation of the Infinity Flex screen itself and its capabilities. This is a 7.3-inch panel with 4.2: 3 aspect ratio. Its resolution is QXGA + (1536 x 2152 pixels). This gives us a picture density of 420 ppi. 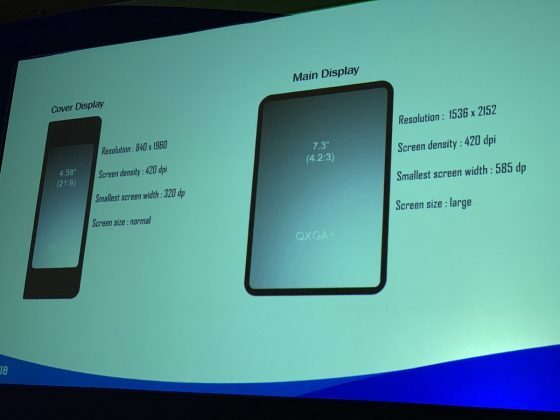 The smaller screen shown yesterday is a 4.58-inch panel with a resolution of 840 x 1960 pixels. Samsung also boasted yesterday with the new One UI overlay. 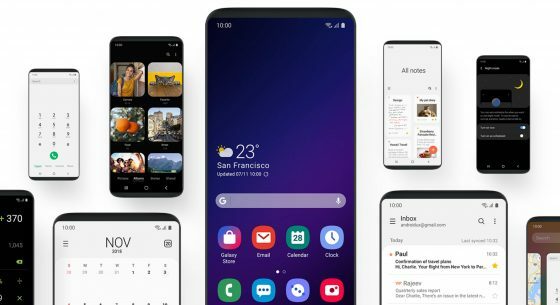 In January, it will be made available to owners of Galaxy S9, S9 + and Note 9. Availability for models from 2017 remains a puzzle for now. Koreans have simplified the interface to make it easier to operate with one hand. In addition, the focus was on optimizations to help you focus while working with your phone and provide more convenience. The beta test program is starting, but not for users from Poland. This can change over time. Foldable smartphone, or Samsung Galaxy F, will be shown only next year . Then we’ll find out how the device was designed. It is possible that the premiere will take place during CES 2019 in Las Vegas. The rumors that circulate on the web show that the sale of a smartphone may be launched in the second quarter of this year .